Dr. Black joined CHSPR as the Centre’s director from 2002 to 2007. As director, she brought clarity and focus to CHSPR’s strategic direction and oversaw the integration of the Centre’s five research units into a single coordinated entity. 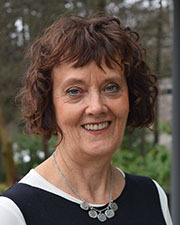 Currently, she is Associate Director of the UBC School of Population and Public Health. In addition to her leadership roles, Dr. Black is a nationally recognized health services researcher. Her work focuses on creating population-based information systems, using administrative data to monitor the quality and effectiveness of medical care, and developing data-driven tools to improve health care delivery. Prior to joining CHSPR, Dr. Black was a founding member and co-director of the Manitoba Centre for Health Policy at the University of Manitoba. She serves on the board of directors of Saskatchewan’s pioneering Health Quality Council, and has consulted in the restructuring of the American system of health statistics. Dr. Black obtained her medical degree from the University of Manitoba and her doctorate in health services and policy research from The Johns Hopkins Bloomberg School of Public Health in Baltimore, Maryland.